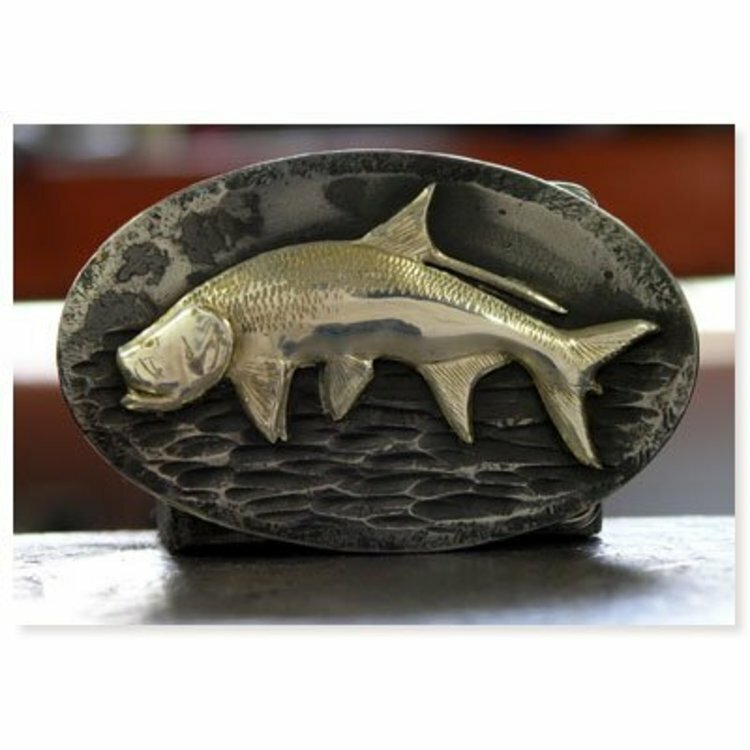 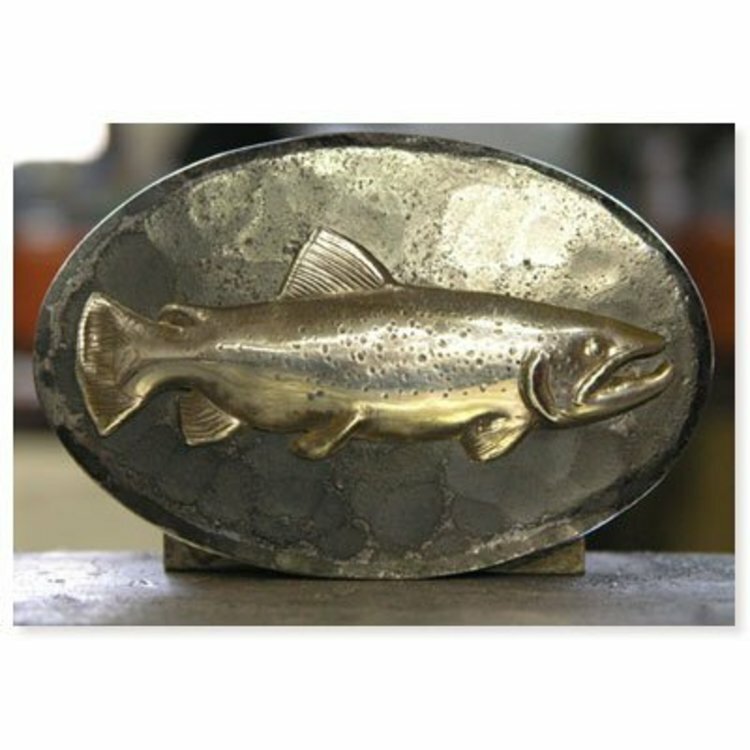 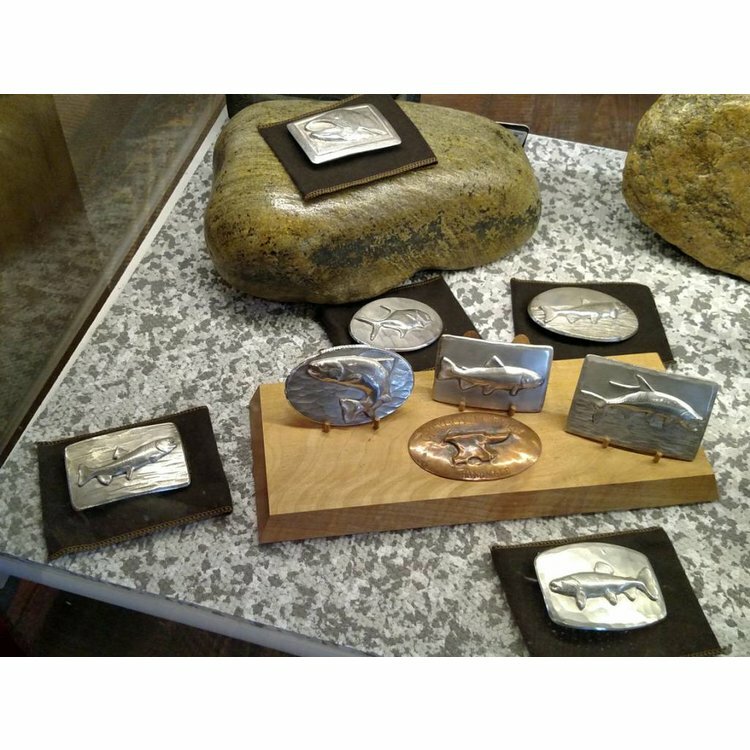 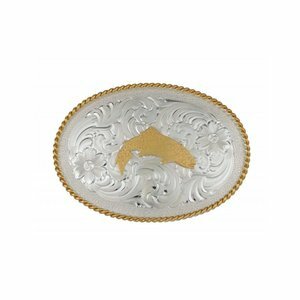 Cityboy Forged belt buckles, CityBoy uses repoussé as a way to decorate their buckles. 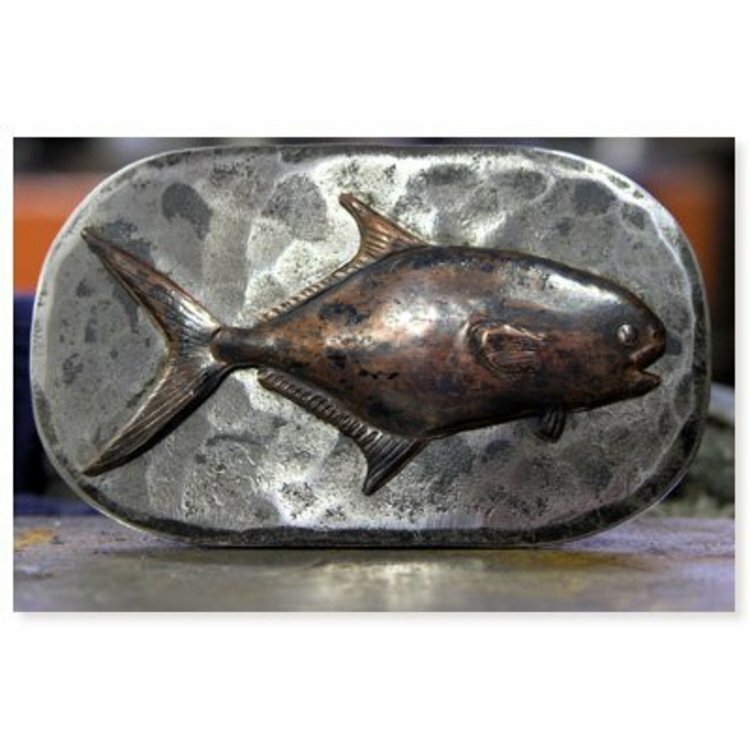 Repoussé is an ancient method of working with metal sheet. Cityboy Forged belt buckles, CityBoy uses repoussé as a way to decorate their buckles. 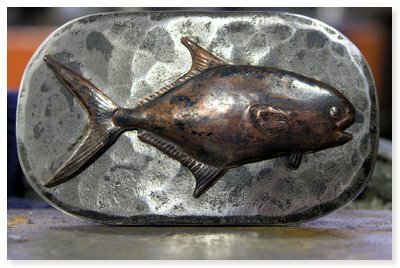 Repoussé is an ancient method of working with metal sheet. 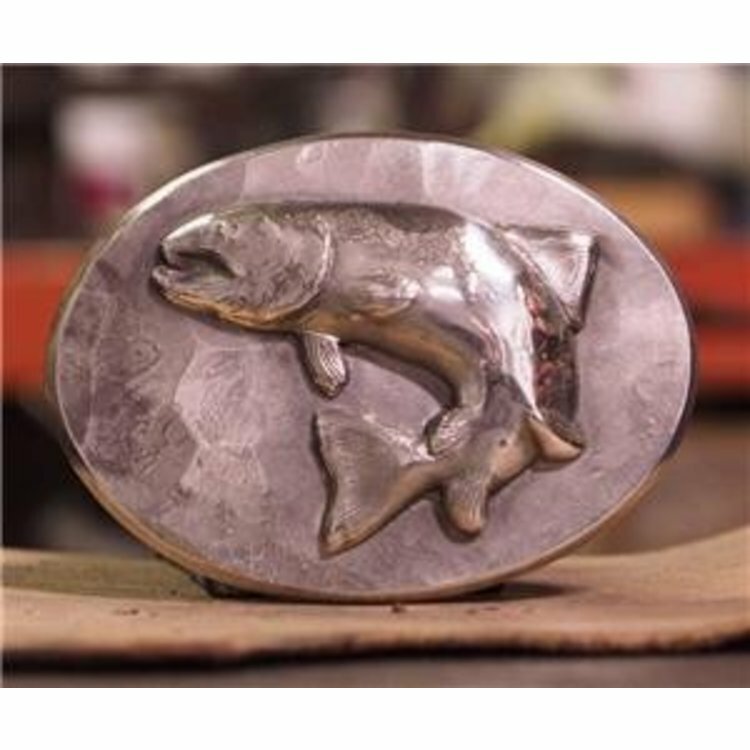 Using simple tools and jeweler's hammers, they raise, into three dimensions, the decorations from flat sheet metals such as copper, brass and sterling silver. 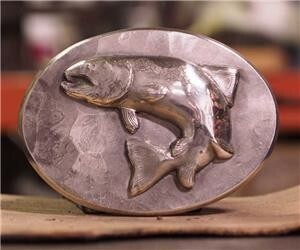 Since they never use forms or shaping dies, each repoussé piece is genuinely singular. 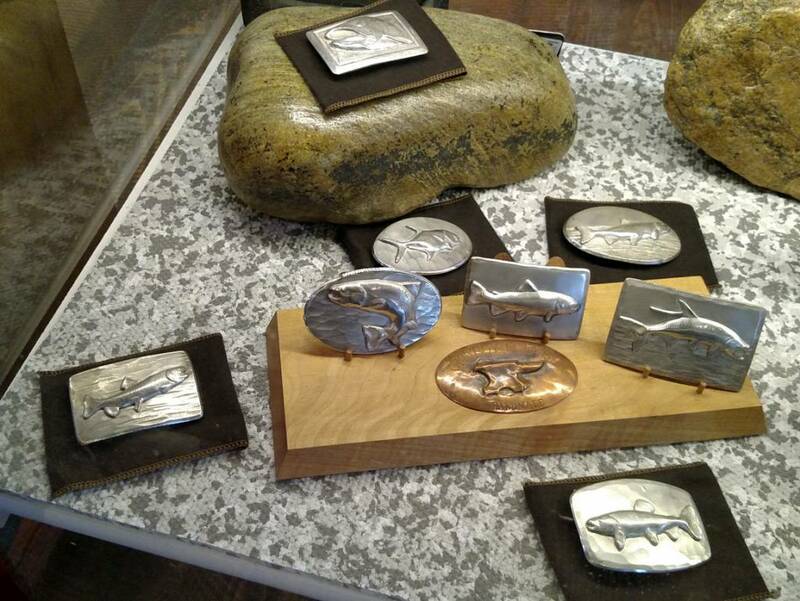 Since each buckle is genuinely singular the photos are simply representative of finished buckle. 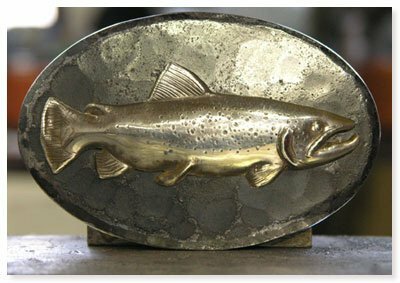 Simms Trout Belt Buckle Silver, Handsomely engraved-silver belt buckle. A stylish gold trout inlay rides front and center. Fits all 1” to 1.5” belts. 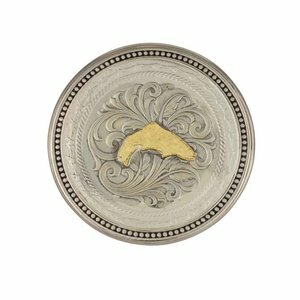 Simms premium Pinch Cans feature an engraved silver lid, with a gold Simms Trout inlay. 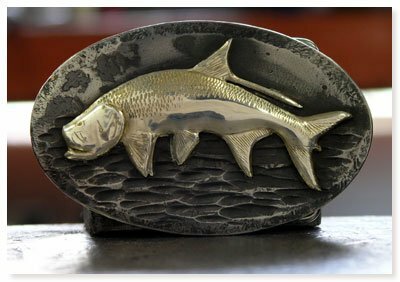 Take a dip inside and find perfectly sized storage for most tins.